Reno Omokri, a former aide to ex-President Goodluck Jonathan, has made a shocking claim about the newly installed acting Chief Justice of Nigeria, CJN, Tanko Muhammadu. 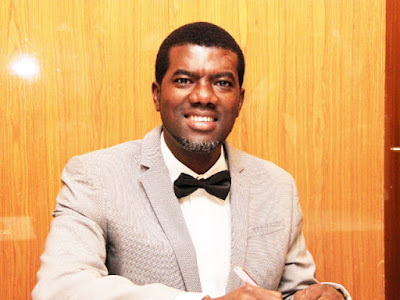 Omokri reveals that Muhammed has 32 kids. President Muhammadu Buhari yesterday swore in Tanko Muhammed as the acting CJN shortly after he suspended the former CJN, Walter Onnoghen. In a tweet on Saturday, Omokri wondered how the new CJN has been feeding and taking care of 32 children if he was not corrupt. According to him, “Let me shock Nigerians. Justice Tanko, who @MBuhari, the so called anti-corruption advocate, swore in, has 32 kids and a reputation I won’t even bother stating here.